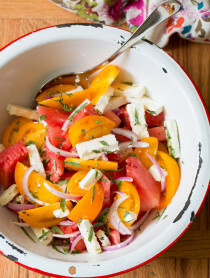 What makes a great Summer Side Dish? Easy to prepare. Very little cook time. Can sit out for long periods without spoiling. 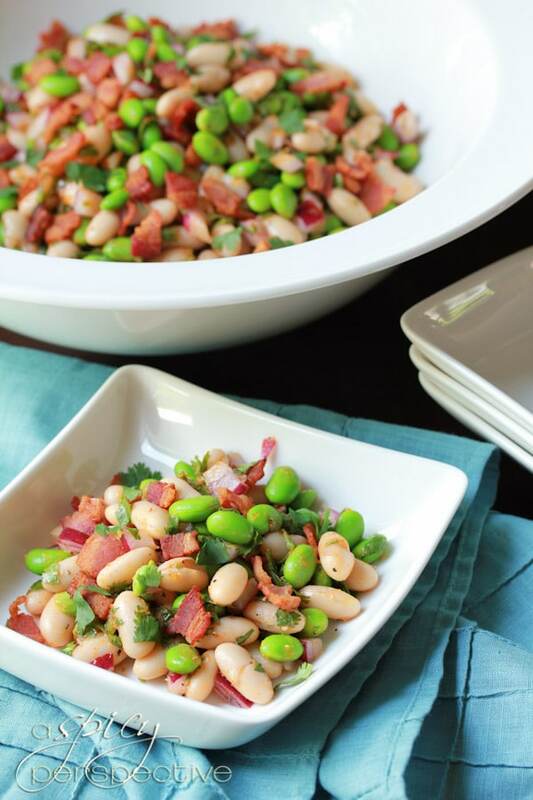 This colorful White Bean Edamame Salad with Bacon is a triple threat and oh so addictive. 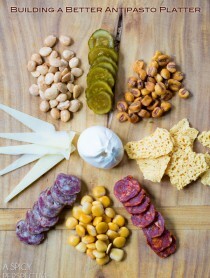 You don’t think an edamame salad or white bean salad could have that kind of appeal? The moment I added crispy bacon and a smoky red wine vinaigrette, I was playing with powers beyond understanding. 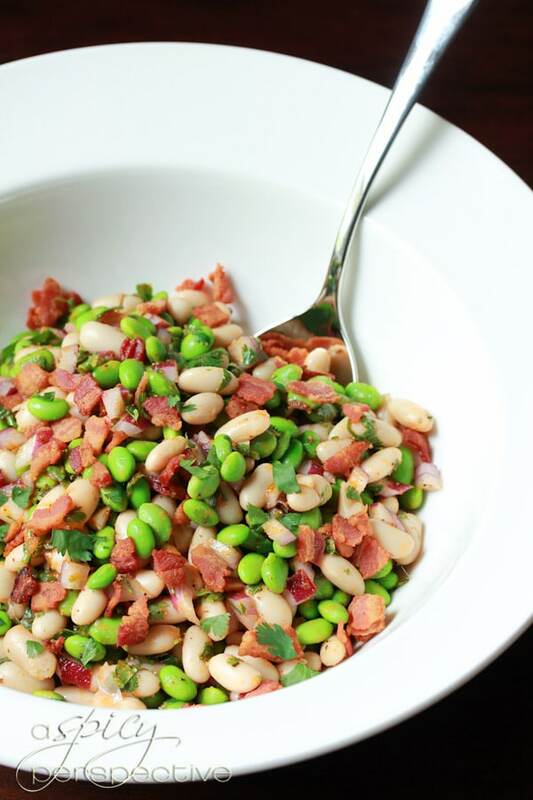 This protein-packed White Bean Edamame Salad with Bacon is truly irresistible. Firm, crisp, crunchy, tangy, salty, smoky, rich with bacon fat. I’ve never wanted white bean salad so badly. Plus, other than the bacon, it’s extremely healthy and gluten free. I hate to even say this, but vegan/vegetarian friends, the smoky paprika dressing is so flavorful, this edamame salad is completely delightful without the bacon. …But go ahead and put the bacon in there. You won’t be sorry. 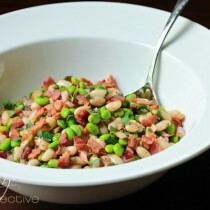 White Bean Edamame Salad with Bacon is at the very top of my summer side dish list. Make sure to add it to your 4th of July Menu! Place a large skillet over medium heat. Cook the bacon until crisp. Then remove with a slotted spoon and reserve 1/4 cup of the grease. Meanwhile, mix the white beans, edamame, red onion, and parsley in a large bowl. In a small bowl whisk together the reserved bacon grease, vinegar, honey, salt, pepper, and paprika. Before serving, toss in the crispy bacon pieces. Is this something you can make ahead and serve chilled? What is edamame & where do I find it? Hi Victoria, What about a smaller amount of basil, or maybe a little bitty bit of rosemary. I wouldn’t add the same amount though, because both can be overpowering. 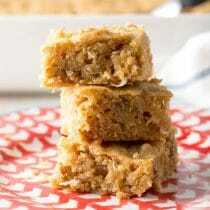 This looks like a good lunchbox recipe, will try it out, thanks for posting! Just found this via Pinterest. 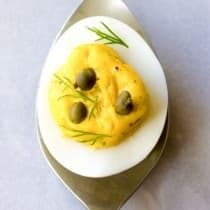 So making it this weekend for our cookout! What a great idea! you are so speaking my language! Delicious! Totally something our family would love! 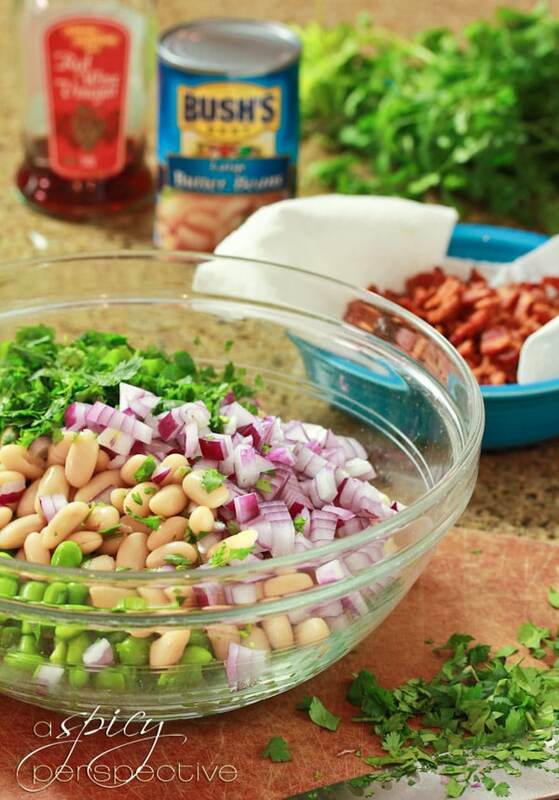 This bean salad looks super scrumptious and healthy but with just the right amount of bacon! This is calling my name. With my aversions to meat (bacon not included, of course) lately, I would eat this as a meal. Love it. Making it asap! That looks wonderful, Sommer. Healthy and flavourful! the edamame is such a beautiful pop of color! oh this is looking so GOOD ! wud love to have it anytime ! I can see why this is so addictive! I don’t think it would make it to the dinner table without me eating half of it first. Great combination of flavors! Yum! I love all of these ingredients. I especially love that you combined them all – this has the potential to appeal to our entire family. Thanks for the great idea!! 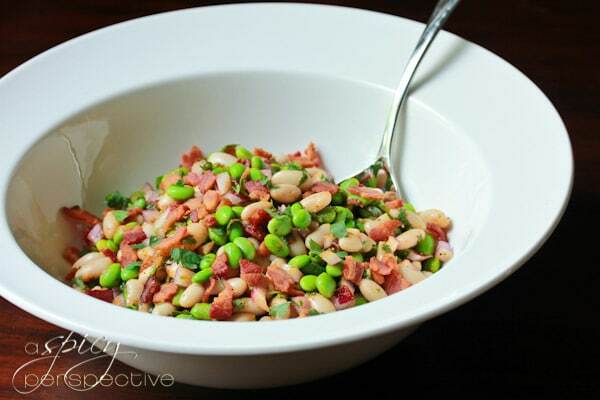 Thanks for the White Bean Edamame Salad with Bacon and Smoky Red Wine Vinaigrette recipe. If you don’t mind, can you submit your White Bean Edamame Salad with Bacon and Smoky Red Wine Vinaigrette photo in http://www.foodporn.net ? I’ll keep mine light and skip the bacon grease — add a spoonful of olive oil instead. I love edamame! Plus because it’s paired with bacon it’s even better! What’s not better when paired with bacon? Sounds very good! I’ll be printing this one out. Oh my gosh your salad sounds amazing!!! 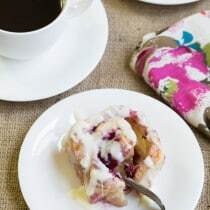 I can see this dish being the new favorite in our house this Summer! Love everything about it! MMM…the texture of edamame and white beans sound so pleasing to me…add bacon to my legumes and I’m golden! Looks delicious and I hope you had a fun weekend! I can almost taste this just from your words and the photos. Want some! Cannellini beans are the best! I’ll definitely be making this! 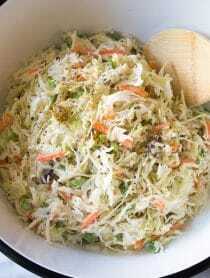 This is a great summer side dish. I love edamame but have never thought of adding it to a salad with other beans. Great idea! 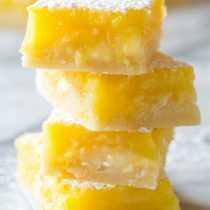 Such a great recipe for the summer! Sommer let me count the ways I love edamame.. .and then you throw in bacon.. Where’s my fork? This is a great summer salad. I love salads without mayonaisse that don’t have to be refrigerated. i’m so glad you said it was good without the bacon…i have everything BUT that and totally want to make this, like, immediately! This looks like a great way to use Edamame! Yum! Bacon makes everything better, doesn’t it? Ok… so, not to digress… but I wish I ate meat so that I could put bacon on everything. Like, this salad. I love edamame salad and I know some bacon in there would just be marvelous. But, I don’t eat meat. Sigh…. The crispy bacon takes it over the edge! What a great, filling, not to mention great-looking dish! Picnic anyone? This definitely is a triple threat, yum! Need to start using edamame in dishes again, been a while!